While I hesitate to call this a throwback or reactionary fantasy, there's no question that When the Heavens Fall has a very late-80s/early-90s feel to it. From the characters, to the world-building, to the story, to the narration, Marc Turner's debut just feels like something I'd almost swear I read 25 years ago. That's not necessarily a bad thing - many of my favorite epics are from that era - but it will certainly present a challenge to readers who've become accustomed to something more polished and more complex. I've already seen some readers complain about the world-building, but I appreciated both the world itself and the way it's built. What you have to understand is that Turner's style is about as far away from info-dumping as you can get. He throws us head-first us into the story, drags us along, and simply expects us to catch up. The politics, mythology, and magic are revealed in sporadic dribs and drabs, often through conversation or internal monologues. You have to pay attention, and you have to make some connections on your own to have the story come together, and I liked that. As for the characters, I liked them, and was certainly invested in their fates, but I'll be the first to admit they could have benefited from a little more emotional depth. The Lurker and Jenna were an interesting pair, playing off one another nicely, but neither one grabbed me and screamed HERO! Ebon was a legitimate hero, but a little too good to be interesting - he really needed a just a few darker, selfish aspects to round him out. Romany was pretty much his polar opposite, a legitimate villain, but a little too bad to be truly interesting, although I loved her interactions with Spider. Parolla, on the other hand, was a character about whom I constantly wanted to see, hear, and know more. I loved her as much as I loved her story arc, and I actually got frustrated when the story moved away from her. Had Turner invested as much effort in building out the other characters as he did her, I think this would have been a much stronger tale. The narration itself was serviceable, but nothing special. Again, like I said, it has that feel of a late-80s/early-90s epic fantasy, when plot came before characters, and characters came before storytelling. 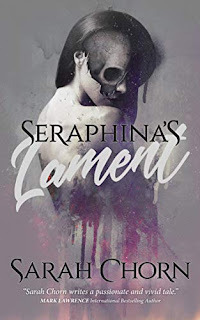 It flows well, is nicely paced, and doesn't fall into any of the debut author traps of overused words or phrases, but the switch between POVs is a little harsh at times. 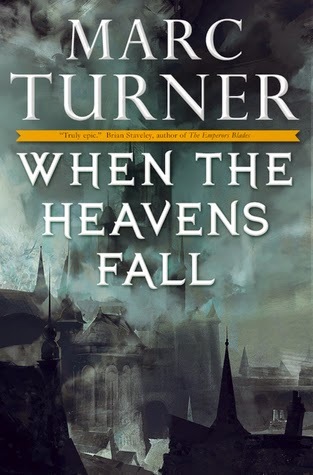 There were times I felt like Turner was simply changing POV to give himself time to think, time to figure out what to do with a character next, without advancing too far towards the climactic convergence of magical forces and supernatural powers. With all of that said, I really enjoyed the story. It not only developed well, but it resolved itself nicely. 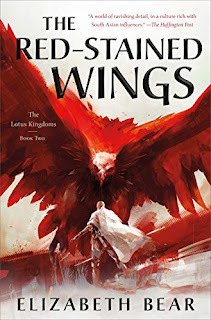 It's increasingly rare that an epic fantasy can manage to sustain my interest through the climax, and keep me reading closely, enjoying the details and nuances, as opposed to skimming ahead to find out how it all ends. The darkness, the magic, and the very idea of power really appealed to me here, and I felt Turner did a masterful job of building the story towards that climax. It's a story that just got bigger, deeper, and more intriguing with each new revelation. I'm really curious to see how fans of the genre respond to When the Heavens Fall. I suspect that will largely depend on how long they've been fans, and how wide their reading experience has been. If it comes across like nothing they've ever read before, that might be a challenge. If it seems at all familiar, however, and evokes any feelings of nostalgia, then I think it's those readers who will be clamoring the loudest for a sequel. Either way, I enjoyed it, and I'm anxious to see what Turner does next. I just wrote my review for this one today. I see I wasn't the only one who felt jarred by the POV changes. 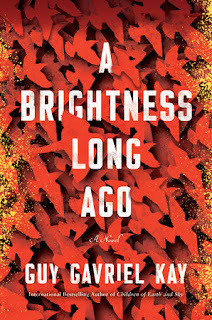 It was very distracting in the intro, and compounded with the slow start, the first hundred or so pages were quite a challenge for me, though I have to say in the end all four storylines converged together quite superbly. Thanks for the review, it's interesting to see how our thoughts meshed! Light on the world building and info dumping? I can handle that. I hated it at first. But once I realized this wasn't about the world, or the characters, and was nothing more than power drawing power I found the theme pretty cool. I have not read enough of the 80/90 fantasy to know how it compares there. Sounds like something right up my alley. Thanks for reviewing it.